1. 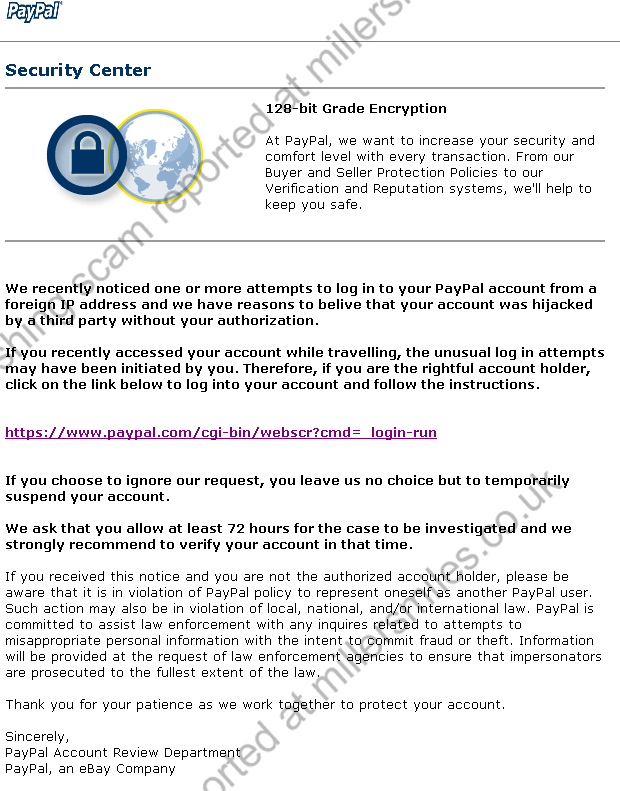 Email claims to be from PayPal asking you to confirm your account data by clicking on the link. You will be taken to a spoof login page where your details will be captured by the phishers. 2. PayPal never send users emails requesting details in this way. 4. Spoof URL looks secure but is not.
" 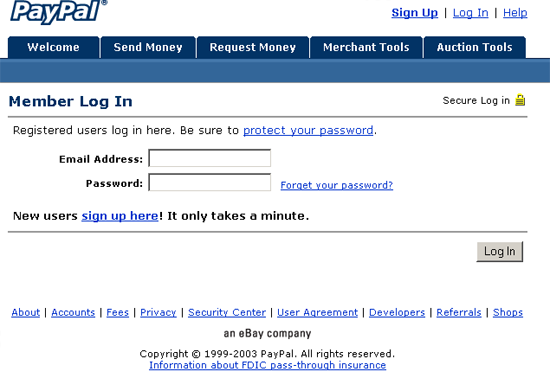 We recently noticed one or more attempts to log in to your PayPal account from a foreign IP address"